Shenzhou 9 神舟九号 was the fourth manned spacecraft flight of China's Shenzhou program, launched at 18:37:24 CST (10:37:24 UTC), 16 June 2012. 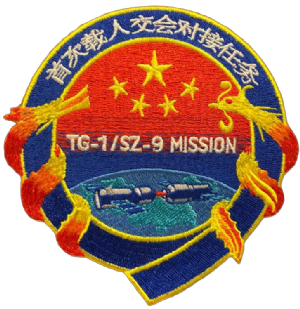 Shenzhou 9 was the second spacecraft and first manned spacecraft to dock with the Tiangong 1 space station, which took place on 18 June. The Shenzhou 9 spacecraft landed at 10:01:16 CST (02:01:16 UTC) on 29 June in Inner Mongolia Autonomous Region. The mission's crew included the first Chinese female astronaut, Liu Yang. 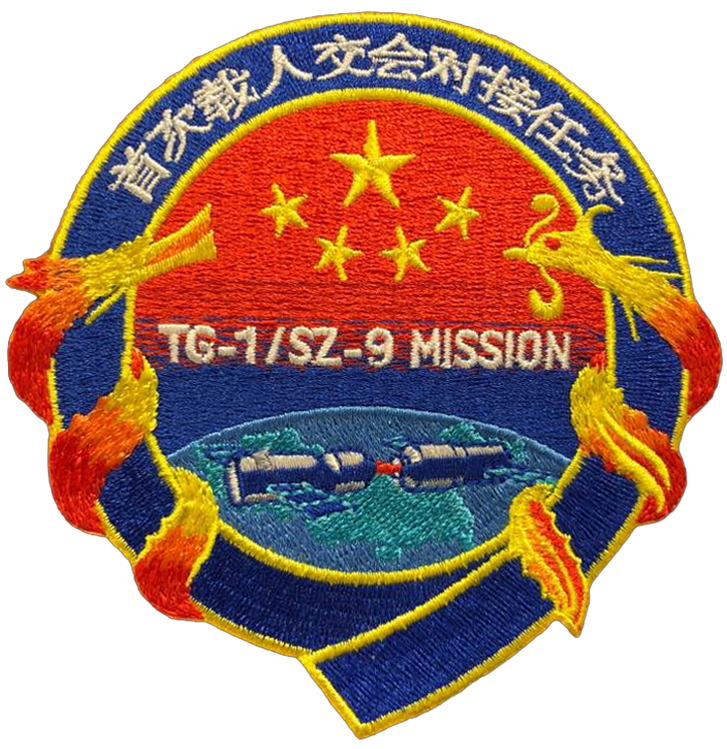 The next mission was Shenzhou 10, which launched on 11 June 2013. 5 was the first human spaceflight mission of the People's Republic of China (PRC), launched on October 15, 2003. The Shenzhou spacecraft was launched on a Long March 2F rocket booster with with astronaut Yang Liwei , a 38 year-old Lieutenant Colonel in the People's Liberation Army and former fighter pilot. There had been four previous flights of unmanned Shenzhou missions since 1999. China became the third country in the world to have independent human spaceflight capability after the Soviet Union and the United States. The approximate dimensions are 90 mm diameter.